Simplicity, calligraphy, and a modern typeface?! OH MY! A simple, modern design lets your photography shine. "Now Booking" in a popular modern calligraphy style makes it on-trend without being "too trendy". 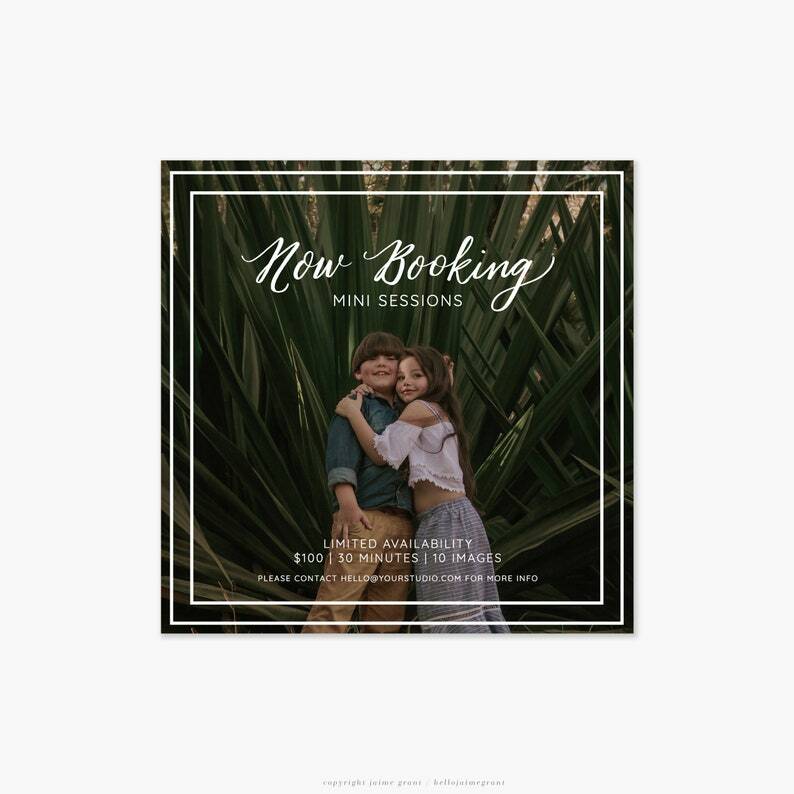 This template design makes it easy to promote whatever you're "Now Booking" on your Instagram feed (or Facebook, Twitter, Pinterest, Snapchat, MySpace --- I won't judge). Printed marketing materials like postcards and flyers more your jam? No problem! Sized at 5"x5" and 300dpi, upload your completed design to your favorite print company to sprinkle this pretty little thing all over town. Use for Mommy & Me, Boudoir, Engagements, Lifestyle, Fresh 48, Elopements, or even one-on-one mentorships. 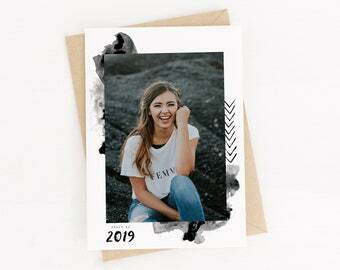 Promote your business, impress your clients, and have your social media followers excited to book with you when you use this Photoshop marketing template. • Instant gratification! Instantly download the template after checkout. • Two words: Editable text. Font info and where to download are included. Did I mention the fonts used in the editable text are absolutely FREE? • Layers (upon layers, upon layers...) that are clearly labeled for ease of use. See a "color overlay" effect or a color fill? Double click to change colors. Easy peasy! • Clipping masks make inserting photos a breeze. • A perfect square! Hint hint: Instagram loves squares. 5"x5" and 300dpi makes it possible to print, but also easy to downsize for social media. It's a win-win. This is an instant download digital product. No physical product will be sent. Must have Adobe Photoshop or Photoshop Elements to open and customize this template. Did you fall in love with one of my pretty little templates but don't own Photoshop? No problem! Just add this listing https://etsy.me/2D3kwdC to your cart too! ★★★★★ "Great quality! Very simple to customize!" ★★★★★ "I love the template! And it will work perfectly for my needs. Great communication with seller who is super helpful with template questions!" ★★★★★ "This was exactly what I was looking for to add that professional look to my social media. It was easy to use and adjust!" Beautiful <3 It was exactly what I was looking for.